Last week, we left off with part one of our interview with the first and only woman NBA scout, Bonnie-Jill Laflin. We had to divide the interview into two parts because we had so many questions! Laflin informed us about what triggered a career in scouting for the NBA LA Lakers, how she obtained six championship rings and her philanthropic endeavors. Though a portion of work consist of interviewing sports figures and celebrities, we were most curious about the one she did with former Celebrity Apprentice star, Omarosa which spurred a short conversation about “strong women”. In addition to a demanding career as a scout for the Lakers, she is a professional sportscaster and is carving her own path with a new sports apparel line for women called Double Play. Plus she’s the charity owner of Hounds and Heroes an organization that rescues animals and aid military veterans. When she is not doing any of the above, she is creator and host of an international TV show in China called Muho TV. Women For Action: I thought the clip with you interviewing Omarosa was so interesting. She’s perceived as being a very strong woman in media and here you are this Super NBA scout in an nontraditional role for women. What was going on in your mind when you were interviewing Omarosa at the time? Bonnie-Jill Laflin: I was first interested in seeing how she would engage with me. You know obviously people say in the media that she is not a nice person or she’s difficult. I thought she was great. I don’t like to judge someone until I’ve met them myself. Obviously, I did not have a long conversation with her. But she was very nice. I spoke with her afterwards. Again, she was nice. She was on the red carpet and you never know how people are going to interact with you. She was very personable, engaging, smart, intelligent and all those things. But I know on the show- I don't know if it’s more a character she is portraying on the Apprentice, but to me, she was very different than I’d imagined. Women For Action: She seems like she’s someone that can hold her own. Bonnie-Jill Laflin: I respect that. I love strong women. I’m a type A personality as well. I have been told that sometimes I don't have a filter. I say what’s on my mind. I’m straightforward. You know exactly where I’m coming from. Women For Action: You are a tomboy, feminine and beautiful. It would seem that it isn't common in your line of work. So how do you handle being a beautiful woman working in a predominantly male industry? Bonnie-Jill Laflin: If you are attractive and working in an industry that is predominantly male then the perception may be you aren't intelligent or you don't belong. Actually, there have been jobs I didn't get because they said my looks wasn't something they wanted. I guess that’s the best way they could put it. So it’s actually hurt me because even though people may say, “Looks get you anywhere”, it’s actually hurt me. I have to work twice as hard. I believe in being the best that I can be. I’m into fitness, working out, and eating right. You know, all those things which should improve your “A” game but it can actually hurt you. Women For Action: In your profession, have you ever experienced someone calling you sweetheart, doll, or honey? Women For Action: How do you usually handle that? Bonnie-Jill Laflin: I usually nip it in the bud right away. I let people know right away that it is condescending. Usually, you just have to explain while holding your ground that they are not going to be able to act a certain way. Actually, people respect you more for speaking up. I don't go for that at all. However, I can hold different conversations about sports, in the draft room or whatever, even if someone curses in front of you, it’s kind of part of the deal. It’s amazing if a guy says the f-word and he apologizes for saying it. It’s kind of funny. They think you’ve never heard that word before. Women For Action: That’s the fun of the sport! Bonnie-Jill Laflin: Absolutely. I'm just one of the guys. So it doesn't bother me at all. They feel as though they have to act a certain way. Women For Action: How did the idea formulate for your charity organization, Hounds and Heroes? Bonnie-Jill Laflin: I’ve always been a huge animal advocate and I’m a big supporter of our troops. My whole family is military. I wanted to form my own charity so that I could give back on my own. I formed a nonprofit in 2010, and I have a lot of great partnerships with other charities. We pair dogs with veterans, a lot of celebrity ambassadors and it’s growing, which is nice. Women For Action: Tell me about your sportswear line, Double Play. You stated that you are relaunching? Bonnie-Jill Laflin: Yes. My partner was pregnant. So we went on a hiatus for a while. We are re-launching it with a new partner which is one of my best friends and a former cheerleader of the 49ers. The re-launch will take place this spring. I’ve always loved fashion and obviously sports. So it’s a great way to combine the two. The line will consist of both NBA and NFL women’s apparel. Women For Action: So the line will be sold at the sports stadiums? Bonnie-Jill Laflin: Yes. It will sold in the stadiums and arenas. 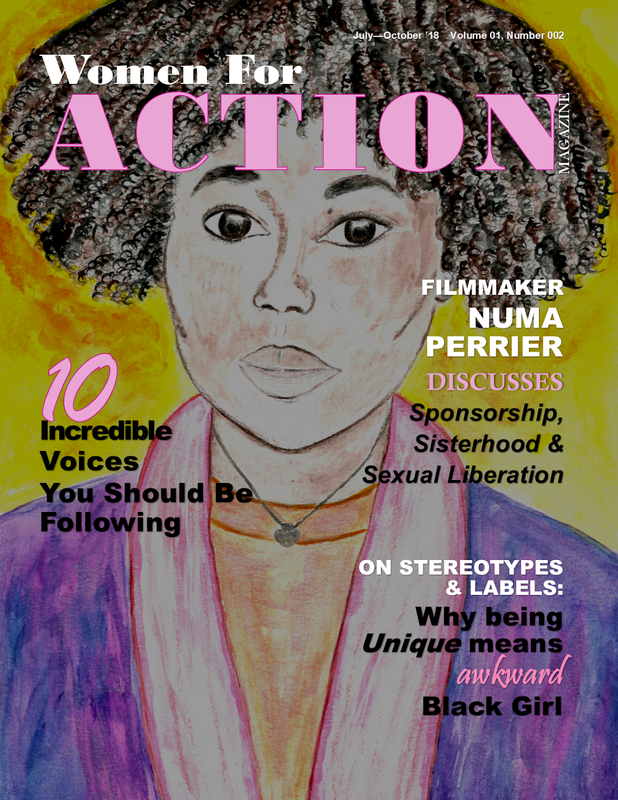 Women For Action: Will you have a standalone boutique for Double Play? Bonnie-Jill Laflin: It may come in the future, but right now, I’m taking it step by step. We are trying to focus on unique designs to sell in stadiums and from there, maybe we will provide the line for retail stores. You never know where that will lead. Bonnie-Jill Laflin: Being a female and in a male dominated world is a challenge in itself. Being an attractive female being under the microscope, subjected to scrutiny- people will not always believe in you. It is an uphill battle. Women For Action: Is there anything you would have done differently during the start of your career? Bonnie-Jill Laflin: I’m pretty proud of the path that I took, though I know there will be people who will say, "Oh, she was in Maxim Magazine and she was a cheerleader." Certain people would look down on it or have a certain perception. I believe that everything I’ve done has made me who I am. I am not just one dimensional. I have a lot of layers. I think you can tell that from my career. I never wanted to look back and have any regrets. 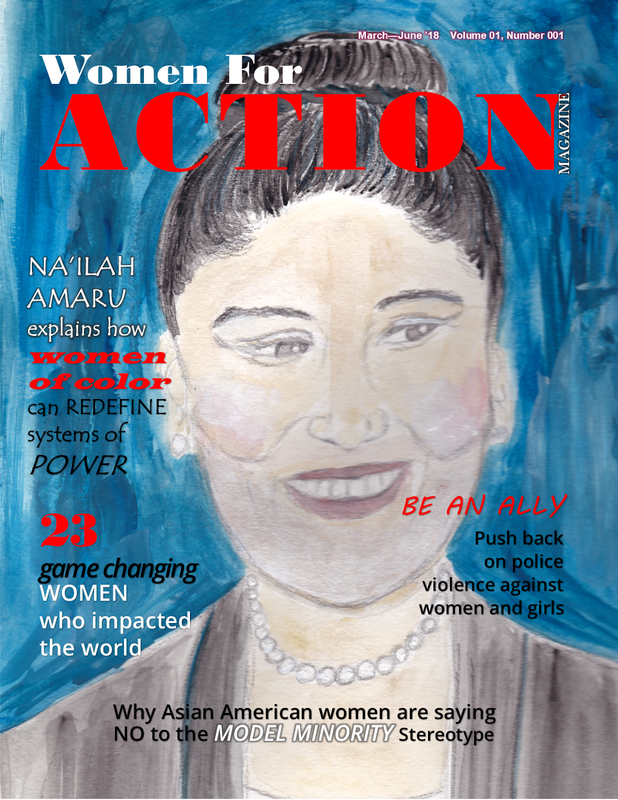 Women For Action: What do you see for yourself later on down the road? Bonnie-Jill Laflin: I hope to have my own professional sports franchise someday. More importantly, I plan to continue my philanthropy efforts as my charity work for our military and animals. It is my passion! I hope to have an animal sanctuary rescuing all animals. I will never stop giving back through Hounds and Heroes, and otherwise. I believe that every single person can do something to make this world better. So hopefully, I can do more. Bonnie-Jill Laflin: Being the first and only female scout in the NBA was quite an accomplishment. However, I am more proud of and humbled by my 18 United Service Organizations/ Goodwill tours to entertain and support our troops overseas. The 8 tours to Iraq and Afghanistan has been life changing! Being able to represent America and boosting morale is an honor. It is something I will never forget. 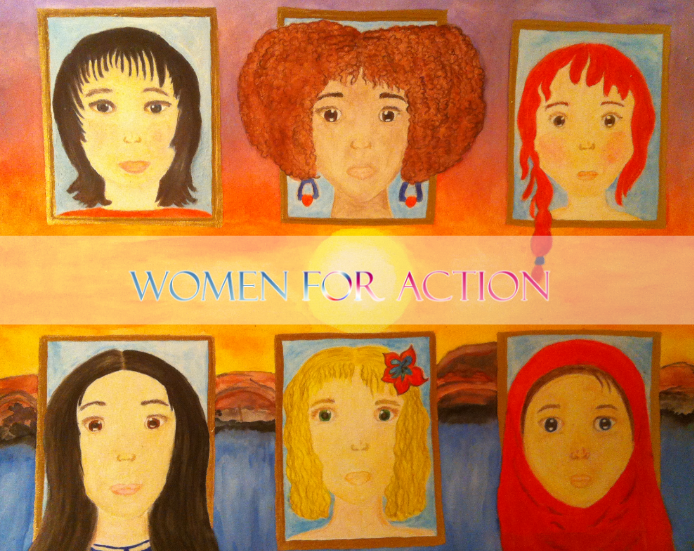 Women For Action: How was it life changing? Bonnie-Jill Laflin: I was over there during the wars, one being operation Iraqi Freedom. I remember speaking with soldiers in the chow hall and they revealed that one of their guys just got killed. Being able to converse with our soldiers and hearing their stories during such a critical time was an honor. I witnessed what the women and children were dealing with under Saddam's dictatorship. Many informed me that they wanted to come to America. Some just wanted something simple things that we take for granted, like being able to open up a nail salon or have the ability to watch satellite TV. One little boy told me that he wanted to go to Stanford. I could go on and on with their stories. It’s something that can't be replaced. 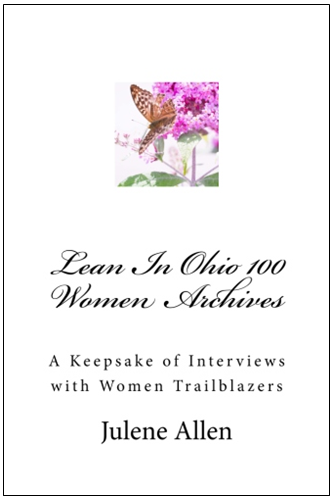 Women For Action: What sort of advice would you give a young woman who is at the beginning of her career? Bonnie-Jill Laflin: I will tell her to network! Building relationships is very important! Study. Do your homework. Learn what works for you in terms of assertiveness as opposed to aggressiveness so you can be prepared for whatever comes your way. Never get discouraged, work hard and make it fuel you. When people tell me I can't do something, I like to prove them wrong. In a male dominated world, there is so much going on. You have to have thick skin. You do have to be assertive in certain situations just because you are a woman. However, there are so many things that you have to rely on, especially your intuition. Obviously, being knowledgeable, knowing your stuff, networking, interning for someone, you know, working your way up, all those sort of things come in handy. Though I would advise them to not get discouraged. If I wasn't those things, I would have given up a long time ago. However, it’s not for everyone. But if you have those goals in mind, you just have to know it’s not going to be easy but the hard work will eventually pay off. Women For Action: Where do you think you've adopted that work ethic from? Bonnie-Jill Laflin: I think I got it from my mother and father. I had a strict upbringing. My dad was an undercover narcotics cop. I remember when he would clean his guns. He is a cowboy. I was brought up in a Catholic family. It was a very strict household. Education and a strong work ethic was instilled in me at a very young age. I think it’s difficult to say when it was instilled in me, because I think you are kind of born with a fire to want to succeed. In honor of Women's History Month, we honor historical efforts being made by women! To find out more about the first and only woman NBA Scout, Bonnie-Jill Laflin, find her on social media or visit her websites! Subscribe to our Interviews in the upper right column to get the next interview sent directly to your inbox!